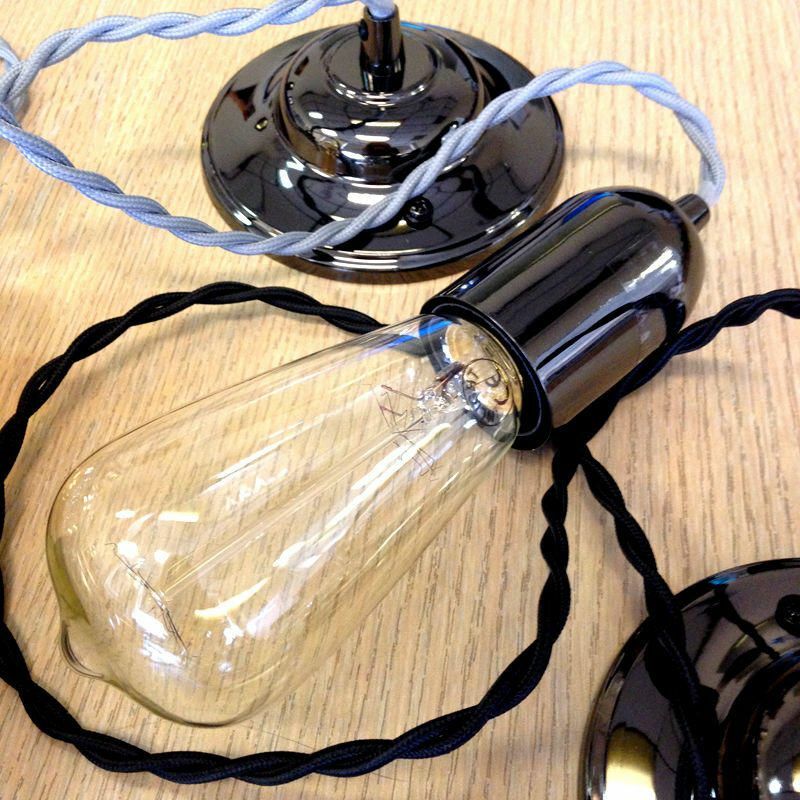 The stripped down, utility look just got a whole lot easier here at Litecraft HQ with the arrival of our new Decorative Twisted Braided Lighting Cables especially designed to fit with our Squirrel Cage Filament bulbs, allows our uber trendy customers a unique and arty installation. 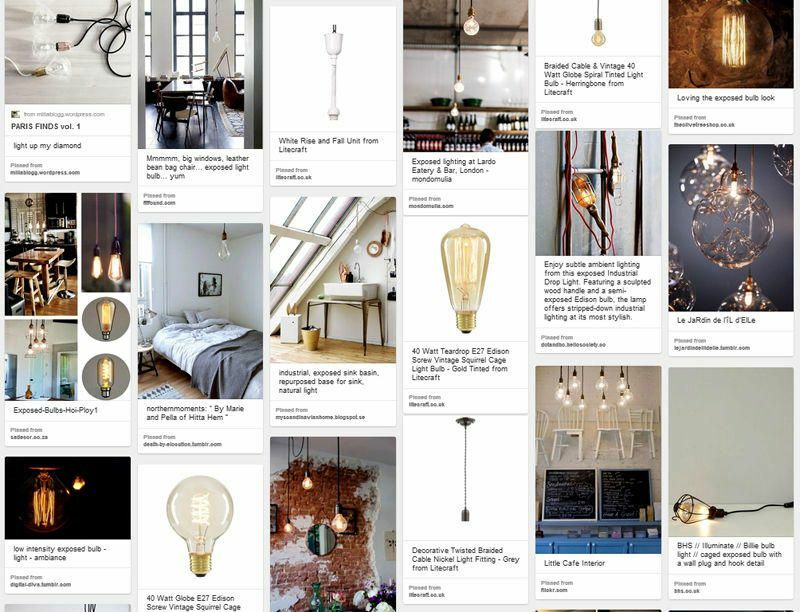 If you want to make a statement choose the exposed bulb trend, taking storm the last couple of years, this is a laid-back industrial style which first took hold commercially. Whether caged in metal or a smoked glass shade you couldn’t step into a trendy bar or urban boutique without spotting these beauties suspended from the ceiling. The warm illumination creates a welcoming ambience whilst the filament design reminisces feelings of early vintage Edison style. These days we’re seeing home-owners becoming a lot braver with their home lighting installations. 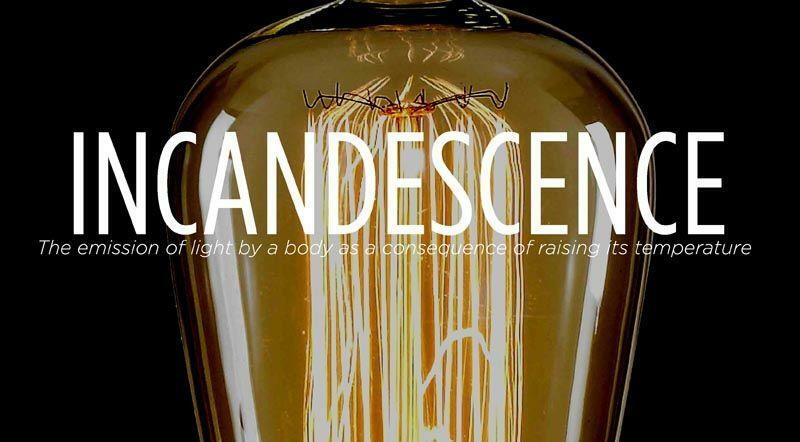 The popularity in industrial and nostalgic country kitchens has shown an increase in vintage and rustic style lighting. 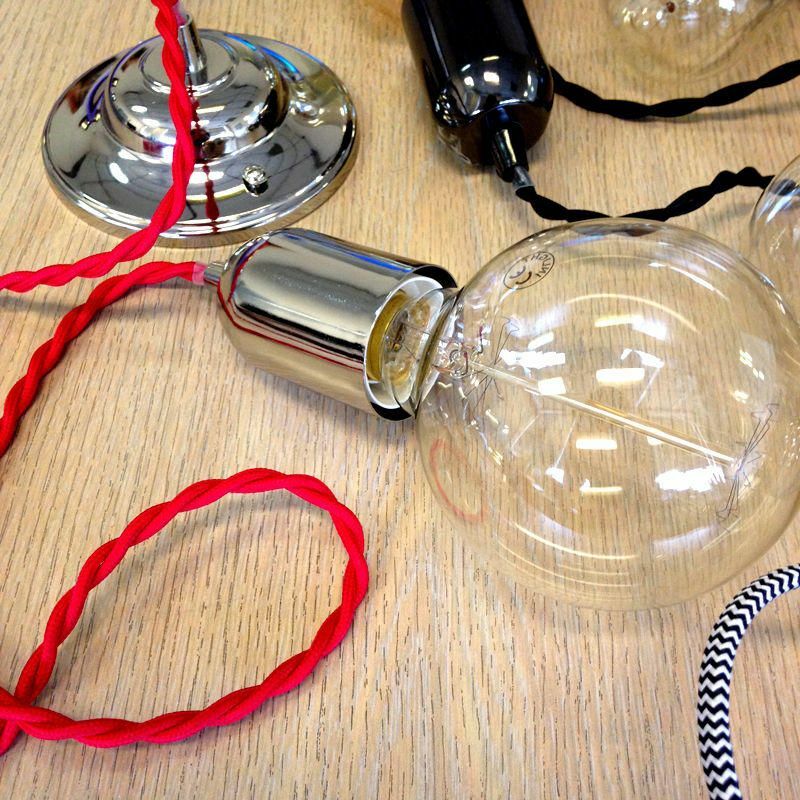 Fisherman lanterns, caged pendants, replica station lights and fittings that expose the bulb are bang on trend this year. Allowing the bulb to be the main statement adds to the arty urban feel. This style shows off the work and craftsmanship that has gone into the bulb, again showing the industrial and revolutionary aspects. 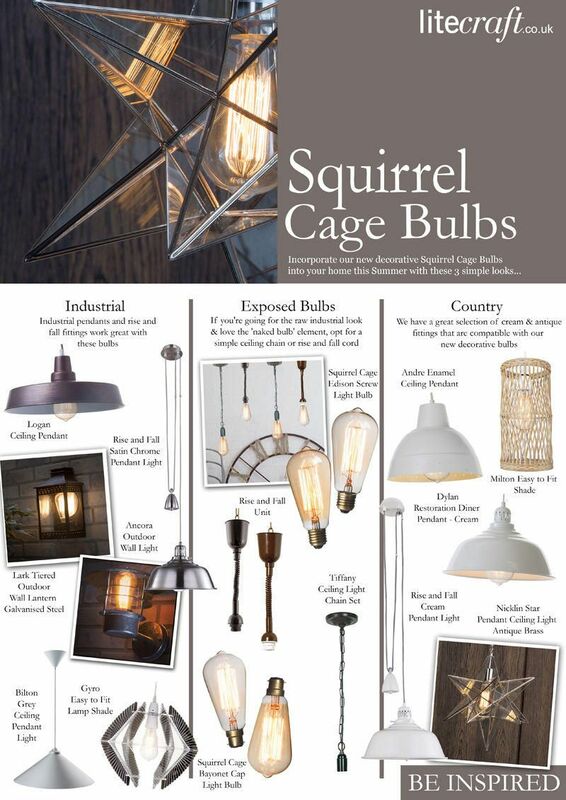 We introduced our collection of Squirrel Cage Bulbs in June 2014 to a great reception. These nostalgic little gems create a twinkling warm ambience to interiors whilst still maintaining an urban, industrial edge. 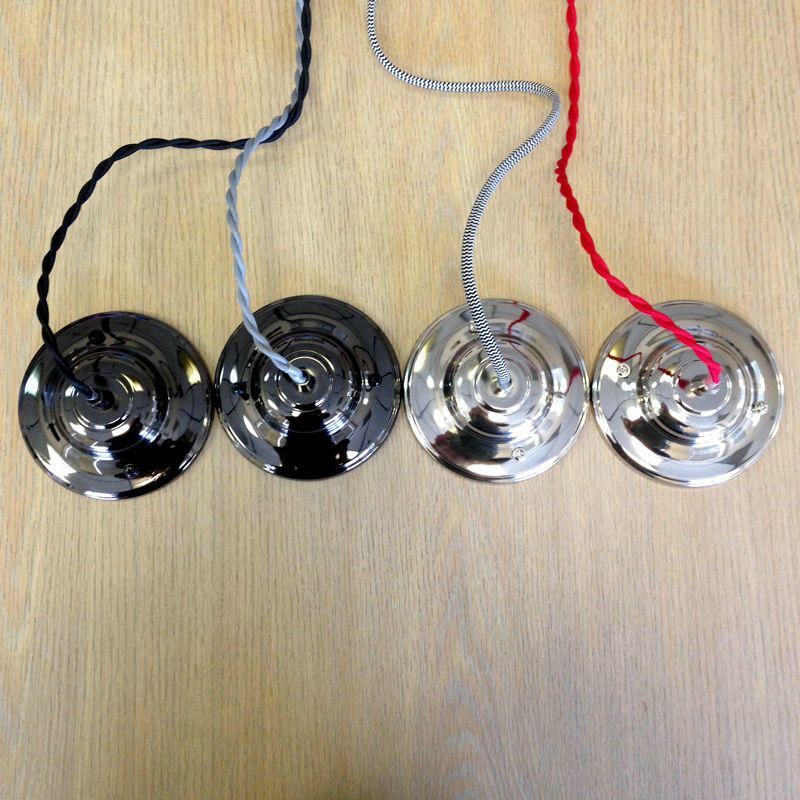 Now you can create even more individuality with the arrival of our new Decorative Twisted Braided Lighting Cables. 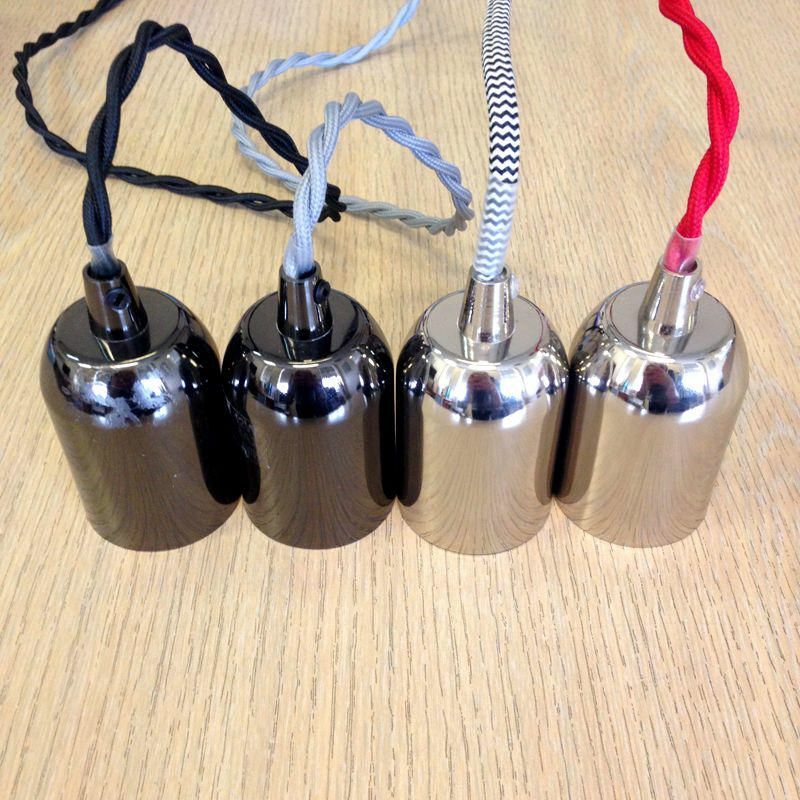 We’re offering four new cable designs. 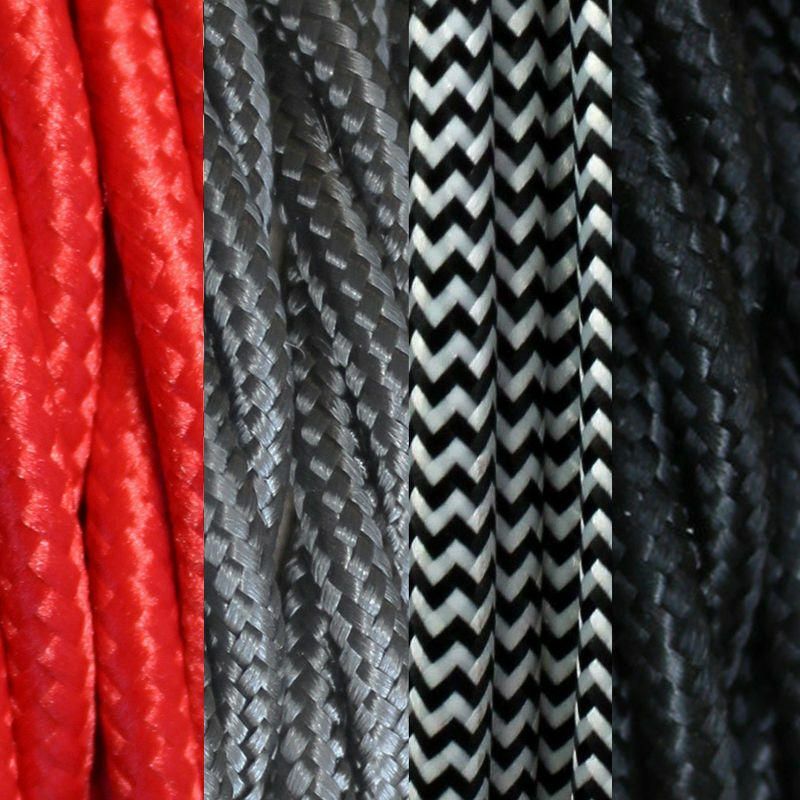 Whether you want to add a touch of colour, a quirky herringbone design or a classic black and grey addition, we have a cable to suit all styles. Suspend several above your kitchen breakfast islands or dining tables for a statement feature. Or install a single bulb in hallways and stairwells. Each cable features an ES Edison Screw bulb fitting. 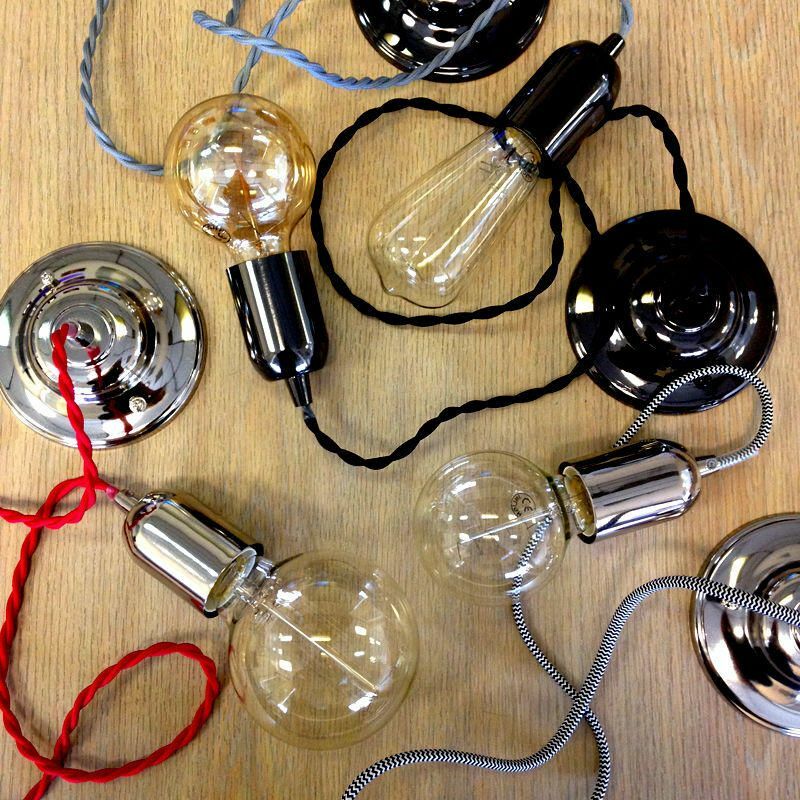 Either purchase separately or choose one of our bulk buy options where we’ve combined each cable with a squirrel cage bulb to make purchasing this fitting easier for you. Our grey and black fittings are finished in Black Nickel whilst our red and Herringbone option features a Nickel finish. See how these little gems have been displayed in homes and commercial properties with our latest Pin Board.